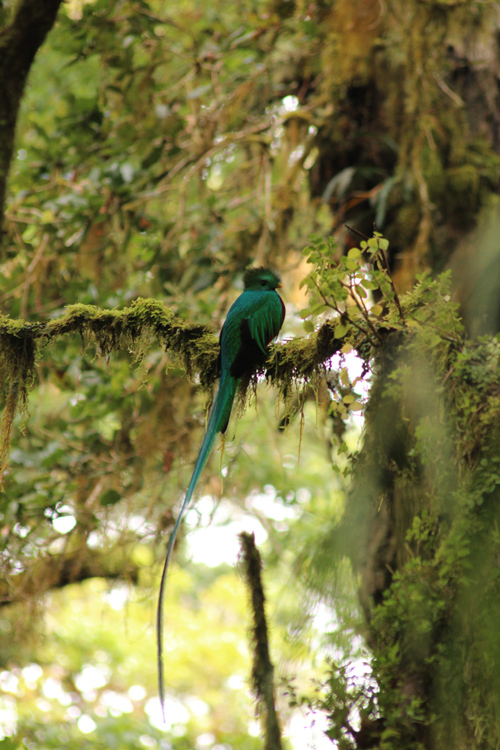 I have to say that the quetzal is one of the most beautiful birds I have encountered in the wild. I'm sure I could see thousands more and still rank this bird in the top three. It must be something about the setting - the perpetual breeze that causes their tail feathers to drift off to one side and the lush vegetation with trees all draped in moss. Stunning!